A hazardous materials release at a municipal water plant could be disastrous not just for the water supply but for the surrounding community. To help mitigate such incidents, our Hazardous Materials Response team on September 13 joined employees from the City of Pittsburg, the Pittsburg Police Department and Contra Costa County Fire District in an exercise to practice coordinated response to such an incident. Check out more photos of the event. 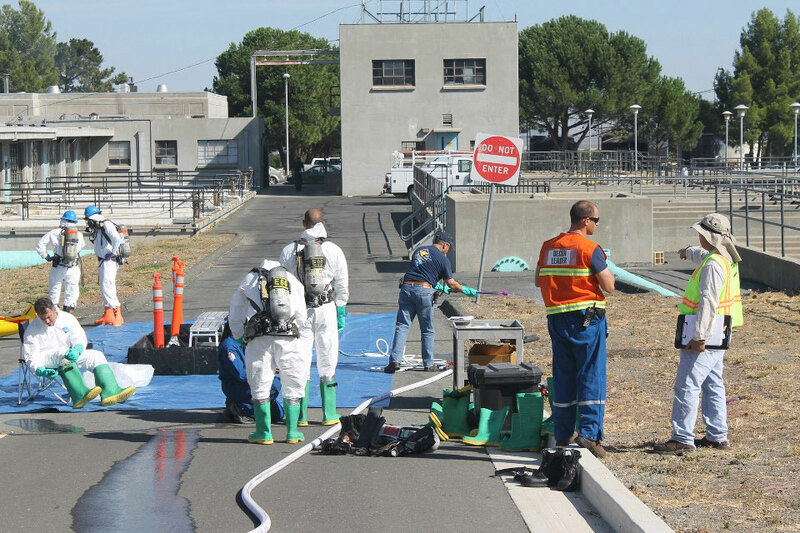 Contra Costa County's Hazardous Materials program serves area residents by responding to emergencies and monitoring hazardous materials. A Clean, Healthy, and Safe Environment. The mission of the Contra Costa Health Services Hazardous Materials Programs is to protect human health and the environment by promoting pollution prevention, increasing process safety knowledge and environmental awareness, responding to incidents, and implementing consistent regulatory compliance and enforcement programs. Hazardous Materials Incident Search - Search our database for incidents that have occurred from 1993 to this year.